Auswell Group is a property agent that wanted to focus on their online component, and approached us to revamp their old website. 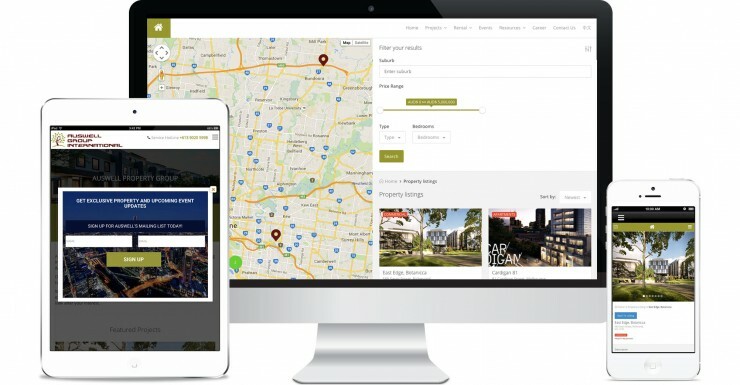 This project involved major customisations to a real estate WordPress theme, involving the Google Maps API, events registration functionality, and reworking of the in-built property listings and search functions. We delivered the project in a timely manner and the client received positive feedback from their supplier and partners. If you have a WordPress project that requires extensive web development work, come to Web Design Market for our expertise!